Following statements are related to the @ ugvcl.com UGVCL Vidyut Sahayak Syllabus 2018. This syllabus is unleashed by the officials of Uttar Gujarat Vij Company Limited (UGVCL). Candidates also catch the UGVCL Junior Engineer (Electrical, Civil) and Junior assistant separate syllabus pdf’s on their official site. The UGVCL Junior Engineer Exam Pattern is additionally added to the given syllabus for make to easy the preparation purpose. For knowing the exam pattern, the aspirants easily prepare the exam scheme to take the perfect preparation by using the downloaded study material. All of you who are searching for the Uttar Gujarat VCL Vidyut Sahayak Syllabus, those ones read this article completely. For the sake of here, one great news was waiting for you in related to the syllabus. The board officials of Uttar Gujarat Vij Company Limited (UGVCL) announces they issue the syllabus on their recommended portal for the best performance of the exam. Applied contenders, should follow the UGVCL Vidyut Sahayak Syllabus, to get the highest marks in the appear exam. Because who have the highest marks in the taking the written test, those have more chances to placed in the organization. Most of the aspirants have the dream to get the job in the govt department. The UGVCL board gives the opportunity for the eligible candidates. In this opportunity purpose, the officials conduct the written test to select the candidates. For the purpose of the written test, the UGVCL Vidyut Sahayak Syllabus is published here. So contenders should download it and prepare hard int he sense of an exam. Suppose you can’t be applied for this vacancies first submit your application form in before the deadline of 10th August 2018, and after that collect the UGVCL Junior Assistant Syllabus. Current Events – National and International etc. Functioning of capacitors & reactors. Non-conventional Energy sources like the wind, solar, biomass, etc. The basic role of the regulatory commission in the power sector. The performance of Electro Mechanic/Static meters. Present power sector scenario in India. HT line/LT line parameters – construction, operational maintenance. Low voltage constraints & resolving. Electrical & Electronics Measurement & Instruments. The performance of line faults analysis. Dear aspirants, the UGVCL JE & JA Exam Pattern also plays the key role in the exam point of view. In the JE exam pattern consists of 100 questions for 100 marks. candidates who are taken the JE written test those ones should concentrate on Concerned subjects like Electrical subjects and civil subjects. Because the core subjects have the high weight age as compared with the general subjects. The Electrical/Civil subjects consist of 60% of marks and 40 % of marks for English, Computer Knowledge, general knowledge and Gujarat language. In the UGVCL Junior Assistant Exam Pattern also given at the edge of the page. Once check it for knowing the subjects and marks weight-age. You want to catch the UGVCL Vidyut Sahayak Syllabus, prefer this page. Because we can provide the all syllabus in topic wise. 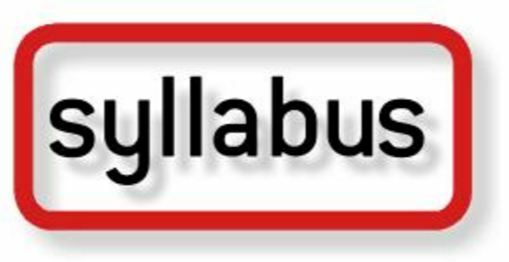 In the syllabus, we can include all topics and subtopics in stepwise. Our site also produces the exam pattern in separately and detail. So must prefer our site @ www.recruitmentindia.in for getting the study material of @ ugvcl.com UGVCL Vidyut Sahayak Syllabus. With perfect preparation is very useful to give the best performance and to achieve the success in the right way.